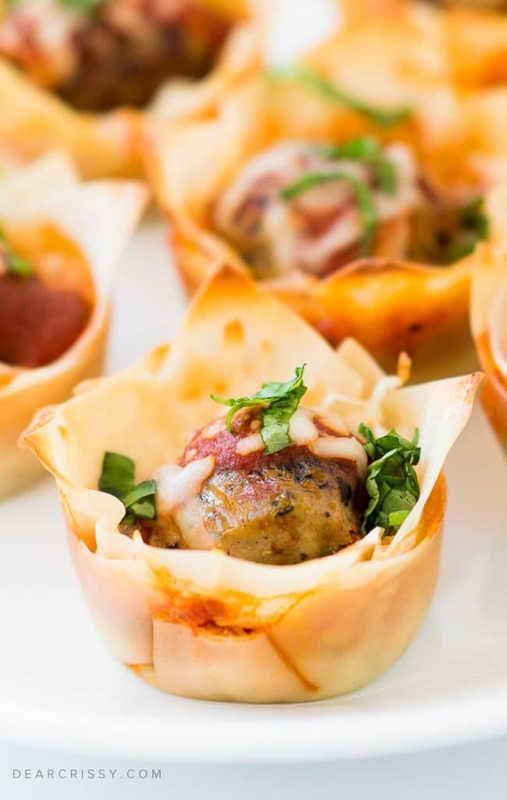 Our flavorful mini meatball lasagna cups are the perfect party appetizer or family dinner. You’re going to love all the flavor packed into each little cup! It’s no secret that I’m a sucker for delicious appetizers. Just look at a few of my most popular appetizer recipes like these crock pot meatballs, my famous bacon wrapped water chestnuts, and these classic lil’ smokies. 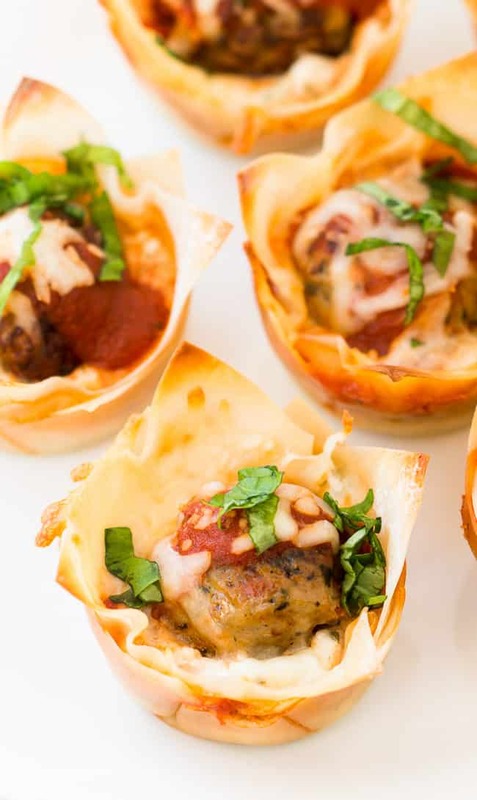 Everyone loves a delicious appetizer while enjoying the excitement of the big game, and these perfectly yummy mini meatball lasagna cups featuring al fresco’s Tomato & Basil Chicken Meatballs are absolutely incredible. 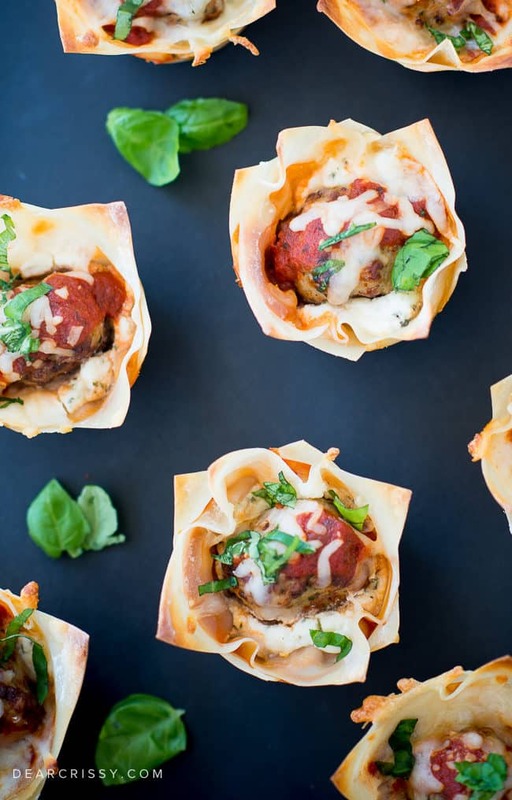 While I made these as a superbowl appetizer originally, we’ve also enjoyed these meatball lasagna cups as a family dinner. My kids just love them! 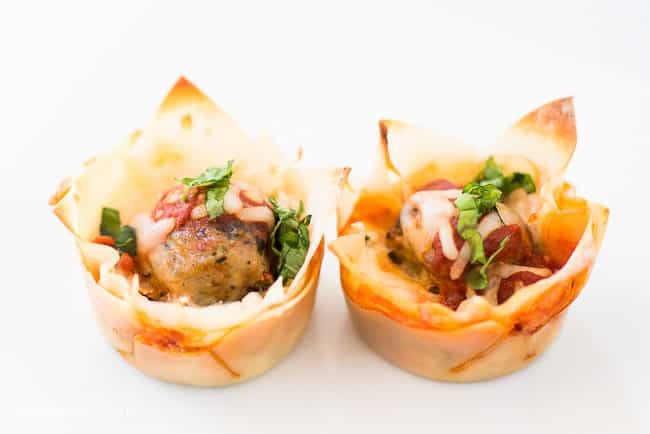 Whether you love the game or you just enjoy the festivities of the day, you’re going to be a mega-fan when it comes to these fabulous little mini meatball lasagna cups. 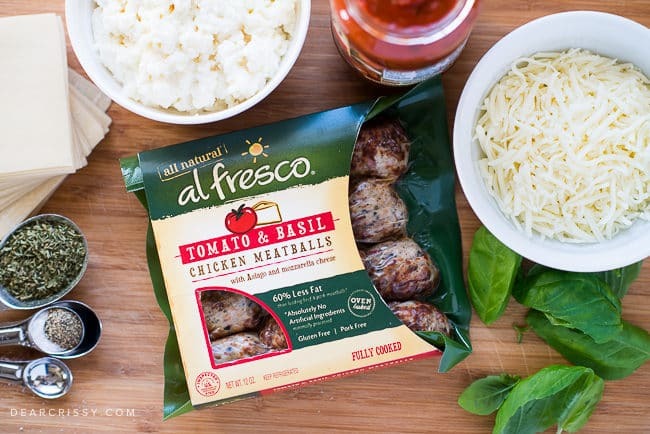 The best part about this easy appetizer recipe are the al fresco Tomato & Basil Chicken Meatballs. 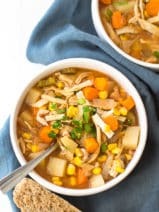 They are so flavorful, and they are fully cooked which makes them really convenient for busy moms. Plus, they are made with lean, skinless chicken meat, and they contain less fat and sodium than beef or pork meatballs. 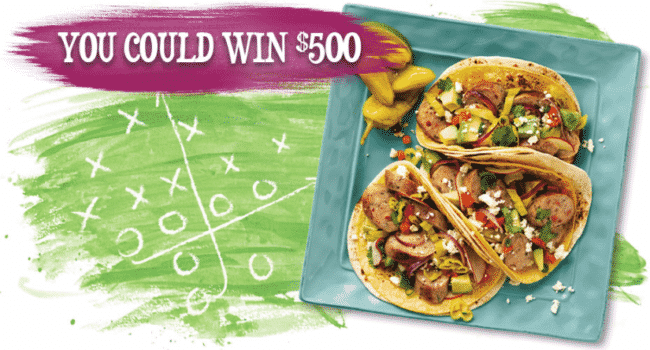 They definitely provide a better-for-you choice for game day or family mealtimes. 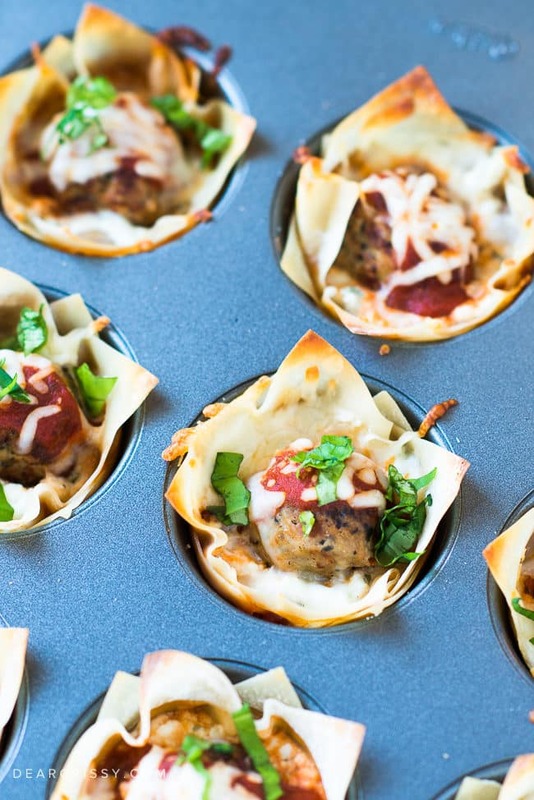 I love these mini meatball lasagna cups because they are so quick and easy to make. 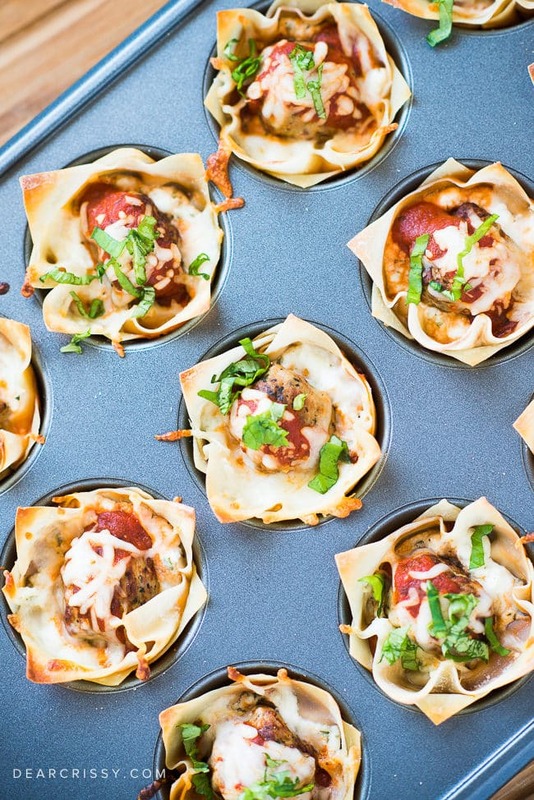 You just layer the ingredients in a muffin tin, adding one meatball per lasagna cup. It’s so fun to have all the flavors of lasagna wrapped up in a small, hand-held package. 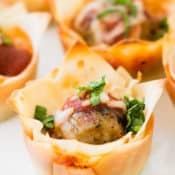 This appetizer was such a hit with the kids that we’ve also made these mini meatball lasagna cups for dinner on busy weeknights. 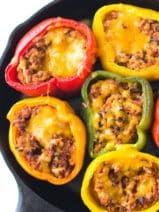 Pair them with some salad and they really deliver a tasty meal that everyone will love. 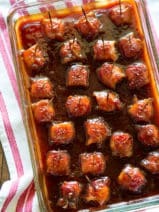 I truly can’t get enough of this fun and scrumptious appetizer, it’s one of my favorite recipes! If you’re looking for a great muffin/cupcake tin to pick up, I highly recommend this one. 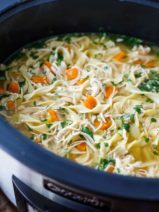 I hope you love this wonderful recipe as much as my family does! 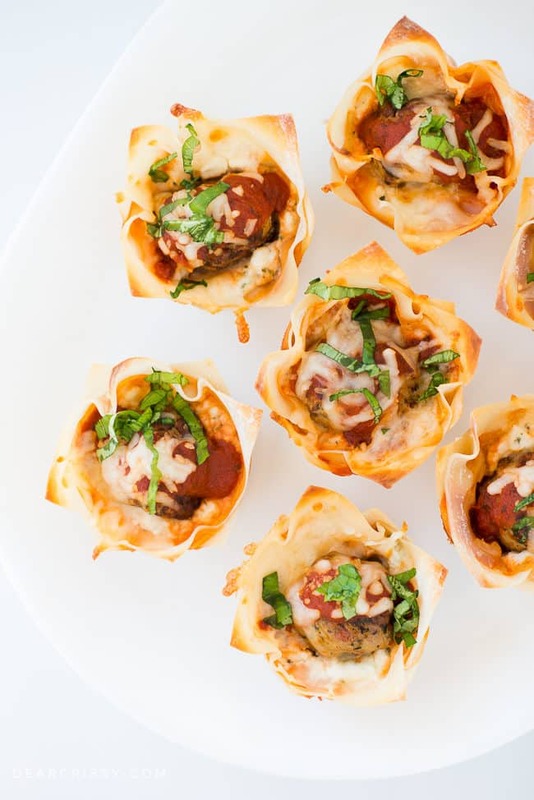 I’d like to thank al fresco for sponsoring this Mini Meatball Lasagna Cups Recipe post. 1Preheat oven to 375 degrees. Lightly coat a 12 cup muffin tin with cooking spray. In a small bowl add the ricotta cheese, parsley, salt and pepper, stir until blended. Place a wonton wrapper in the bottom of each cup. Using half of the ricotta cheese mixture divide it among the 12 cups, then top with spaghetti sauce ( I used approx. a teaspoon in each). Using half the mozzarella cheese sprinkle it over the sauce. Place another wonton wrapper over the cheese, I placed it in the opposite direction of the first to expose more corners. Add remaining ricotta cheese to each cup. Place a meatball on top of ricotta ( there are four extra meatballs I refrigerated to use later) add another layer of sauce and remaining mozzarella cheese. Bake for 10 to 15 minutes until cheese is melted and wonton wrappers begin to brown. Sprinkle with fresh basil. A quick question – I am tasked with bringing something to an event that is 3-4 hours away. I would love to make these, but I’m not sure if they would travel well. Do you think they will get too soggy? I don’t want to assemble them when I arrive. Honestly, Janet, I don’t think these would be the best for travel as they are best enjoyed right out of the oven when the wonton is crispy. 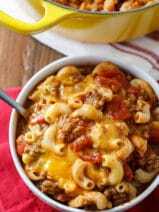 THESE LOOK ABSOLUTELY SCRUMPTIOUS,ii WILL MAKE THEM FOR OUR THANKSGIVING DINNER, i WILL FORWARD A COMMENT AFTER TASTING & SERVING THEM TO FAMILY. Yum! Adding these to my Super Bowl appetizer lineup.